August is here and school hasn't started for many yet. Don't miss this Family friendly NBTA ride! Let's start this ride with ice cream, that's right, ice cream! 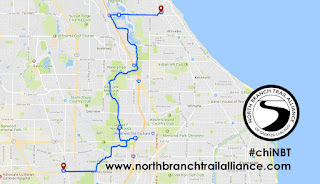 We will meet at 11 am, outside of Greater's Ice Cream in Winnetka, IL. After a sweet scoop or two we will head to Chicago River Canoe and Kayak's rental location at Skokie Lagoon. 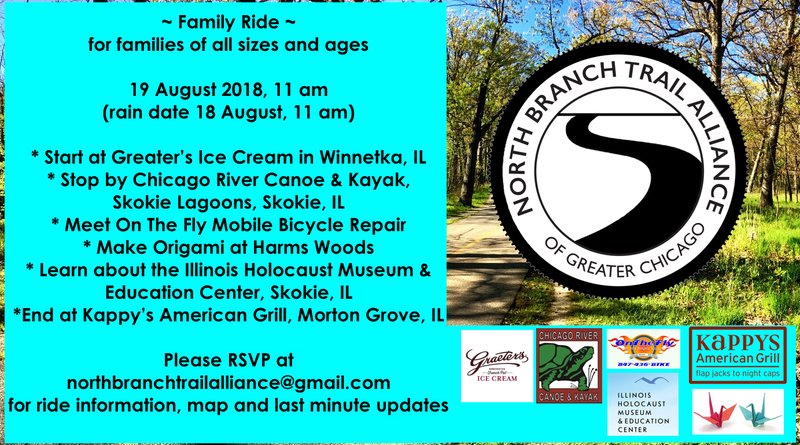 After that we will ride the North Branch Trail with a stop at Harms Woods for some Origami demonstration and folding, and learning about the near by Illinois Holocaust Museum and Education Center. Finally, we will end the ride and gather at Kappy's American Grill for some food, drinks and conversations.